Operation Northern Shield is a victory for Israel. In the early morning hours of Tuesday, Dec. 4, Israel's military thwarted a Hezbollah plan to attack the country through tunnels. Israel revealed the first tunnel that day. It has since found two others. The Israel Defense Forces estimate there are 10 such tunnels. It's easy to become confused as to whether the operation should in fact be considered a success when confronted with Israel's turbulent punditry, where everything is thrown into doubt, including whether even to call it an "operation." As one Israeli columnist noted (who argued it was indeed an operation), when Israelis hear that word they expect columns of troops marching into enemy territory, not a couple of soldiers standing around a rock drill with their hands in their pockets. The scene resembles peaceful preliminary work on a new highway. Nevertheless, it's difficult to overstate the catastrophe that Israel avoided. Hezbollah planned to use these tunnels—large enough to drive motorcycles and tractors through—to mount a small invasion, sending elite forces into Israel under cover of artillery fire to cut off Metullah and other Israeli towns in the upper Galilee. The thought of hundreds of Hezbollah terrorists wreaking murder and mayhem is terrifying. It would have been a painful defeat for Israel. Yes, the IDF would have regained control, but Israeli society would have spun into depression while Muslim morale skyrocketed. Propaganda videos of Hezbollah killers planting victory flags over Metullah would have streamed throughout the Islamic world. To understand the impact of such propaganda, it's worth recalling how a fairly insignificant event affected Israel. In October 1994, Hezbollah, then a little-known group, filmed their men planting a flag at an Israeli outpost in Israel's southern Lebanon security zone. The terrorists didn't even conquer the outpost and ran away afterwards, but their video, what Matti Friedman, author of the Pumpkin Flowers, calls the first-ever terror selfie, was shown all over the Muslim world and again and again on Israeli TV. "Headlines called the incident ‘the disgrace,' and Outpost Pumpkin became briefly infamous as a symbol of rot in the military," Friedman wrote. Fortunately, Israel intercepted Hezbollah's tunnels before they became operational, and it's Hezbollah that now suffers international embarrassment. A fact proven by the terror group's complete silence—not an easy thing for Hezbollah leader Hassan Nasrallah, who proclaimed in 2012 he had a plan to conquer the Galilee. Nasrallah lost the assets that were to provide the element of surprise for that "conquest." Hezbollah poured massive resources into building those tunnels, carved as they are into the solid rock characteristic of Israel's north. The first tunnel went to a depth of 80 feet and was 650 feet long, 120 of which penetrated Israeli territory. Given Hezbollah's default position that its forces aren't even present in southern Lebanon, a condition stipulated by U.N. Resolution 1701, it's no wonder the terror group has fallen into embarrassed silence. This makes it a big win for Israel on the public relations front. And it's wisely exploiting it for all it's worth. Israel may even turn the first tunnel into a kind of tourist site, a place to bring journalists, ambassadors, and anyone else who can help Israel's case in the world. Prime Minister Netanyahu has already held a briefing of over a dozen ambassadors at the site. Israel is also using the tunnels to drive a wedge between Hezbollah and the Lebanese population. It has produced videos for Lebanese consumption pointing out Hezbollah's lies and warning that Hezbollah is dragging Lebanon into conflict. Israel even sent anonymous instant messages to cell phones of the residents of the village of Kilah, where the first tunnel originated: "Hezbollah has dug tunnels near your homes, and that puts you in danger, it's up to you to take caution." Still, for all that Israel has done right, there are disturbing trends, and pundits aren't merely grousing. Israel is only operating on its side of the border, obediently sticking to Resolution 1701 even though it has already been blatantly violated by the other side. It's also respecting the red line drawn by Hezbollah: that as long as Israel doesn't enter Lebanese territory, it won't attack. That a terror group has successfully deterred Israel is indeed worrying. 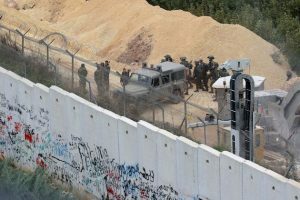 Israel is even debating whether to destroy the tunnels only on the Israeli side of the border, unlike in Gaza where it destroys the tunnel along the entire length. That would leave a lot of existing Hezbollah tunneling intact. The IDF, which operated for decades with an offensive, take-it-to-the-enemy mentality, seems to have fallen into an almost completely defensive mindset. Walls are going up everywhere, sometimes down, as Israel builds a massive underground wall around the Gaza Strip to stop tunneling there. It's an impressive engineering feat but walls never defeat an enemy. They just find other means. Destroying the tunnels will take a few weeks. And the Netanyahu administration understands that Hezbollah's main threat—precision missiles—remains. Israel's bombing runs into Syria are directed at preventing just such precision technology from reaching Hezbollah from Iran. The problem is that Iran is now flying directly into Lebanon, which is why the October 16 flight of an Iranian cargo airliner directly from Tehran to Beirut garnered so much media attention. Hezbollah's rockets number between 120,000-to-130,000. That even a fraction of these should turn into precision missiles, which would give Hezbollah first-strike capabilities at Israel's nerve centers, is unacceptable from Israel's standpoint. There is talk that Israel will expand its current operation to deal with that threat. It is urgently to be hoped that Israel will handle Hezbollah's missile arsenal with the same good timing, secrecy, and organizational ability with which it has thus far dealt with Hezbollah's terrorist tunnels.